/ Better data will mean better outcomes in 2016. 1. Cracking the collaboration code. Getting employees to collaborate can be complex. Besides managing psychological motivations, today’s enterprises run on a dizzying mix of software and services, so there’s learning curves and adoption challenges. As information has become more digitized, a common problem with collaboration is that it’s often unhinged from the real data needed to make a decision. In turn, collaboration wasn’t seen as mission-critical as someone hunched over a bunch of pivot tables that run a billion dollar business doing “real work.” The goal, of course, is to get the right people working on the right data at the right time. He says there’s two things companies can do to increase collaboration. The first piece is understanding workloads and redistributing the work more evenly. The other recommendation is to “incentivize” people to collaborate more efficiently. The latter is where the big tie-in to better data comes into play. If you can get your high performers focused on the right business problem—through better data and access—the returns will be there. If you’ve seen some of Domo’s collaborative capabilities, it’s clear product strategists have thought through some of these scenarios. By putting data in the hands of business people, it’s a heck of a lot of easier to get a sense of how collaboration should unfold inside an organization. The proliferation of accessible data is not only reshaping how decisions are made, it’s retooling business models. According to The Economist’s The World In 2016, managers will be at the forefront of this change. “Checking up on people, chivvying them and judging how they are doing—will either be deemed no longer necessary or will be given to machines to do instead,” writes Lucy Kellaway. If that’s the case, your annual performance review could be the first thing that goes from the hands of a manager to the motherboard of a machine. But getting to that level of automation will require a rigorous approach to managing data. Outputs, say the report, will be what’s measured. While this may sound drastic, an emphasis on quantifiable outputs leaves little room for under performers to hide—which would could be good for morale, and the bottom line. 3. Combining IoT data with human insights. The data generated by industrial machines and connected hardware is predicted to grow at a blistering pace over the next half decade. According to the EMC/IDC Digital Universe Report, data generated by “things” will go from two percent of all data captured in 2013 to 10 percent in 2020. Most of us now refer to this shift as the Internet of Things (IoT). What will surely be a huge change is how organizations adapt. Writing in MIT’s Sloan Management Review, Randy Bean, CEO at NewVantage Partners, touched on how machine-driven data is advancing the concept of real-time. Another software executive we spoke to recently put it in business terms. When you think putting real-time, machine-driven intelligence in the hands of savvy business leaders, that’s where things get interesting and new outcomes can be achieved. So where does all this leave us with a month in the books for 2016? If there’s a constant, it’s that the technology surrounding us will continue to evolve. With that evolution, smart organizations will see 2016 as a time to create the data infrastructure (people, process, tools) needed to position themselves for the future. 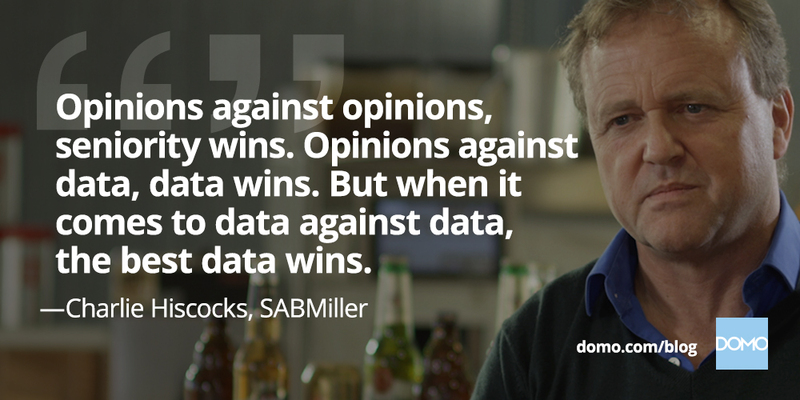 A data-first mentality won’t be a luxury anymore after 2016.